We all have a basic need to feel valued and loved. I’m always amazed when I acknowledge someone’s good performance or, recognize something they have done, at how they smile and seem to appreciate the feedback. Whether an employee is an introvert or an extrovert, it is important to recognize them for their hard work. 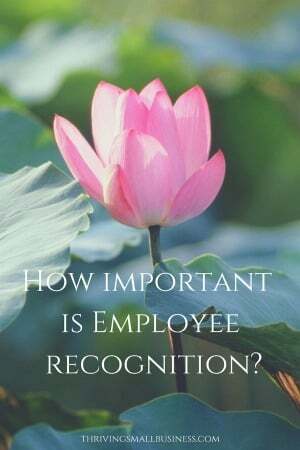 There are also organizations that sell employee recognition gift catalogs. The gifts come in all kinds of shapes and sizes and can be customized at varying price levels for budgeting purposes. The beauty of these programs is the employee can pick out a gift they want! Let them order their gift, and when it arrives, present it to them with a thank you! Regardless of the recognition model you come up with, if you tell your employees what is expected of them, give them the resources to do their job and recognize them for a job well done, you will be well on your way to providing a great place to work and an organization that employees want to be part of!